Under the feudalistic societies of old, status was organized through state-enforced hierarchies, leaving little room for the levels of status anxiety we see today. For us, however, status competition ranges wide and free, leading to multiple manifestations and a whole heap of status signaling. Such signaling is as old as the free society itself, of course. Whether sending their children to fancy classes and fencing lessons, accumulating ever-expensive luxury goods, or boasting in the labels of their fair trade coffee and the nobility of non-profit activism, aristocrats have always found ways to signal their superiority. We are now seeing a “new status signaling,” Murphy observes, where society has “moved beyond associating ostentatious displays of wealth with high status,” opting instead for behavior that signifies we are above and beyond such base behavior. …the elite today choose to flaunt their wealth in very specific ways that demonstrates one’s disapproval of the institutions that make that wealth possible. Capitalism, impersonal markets, and corporations are seen as inauthentic. Choosing goods that ostentatiously express disapproval – but doing so in ways that are costly for the typical consumer – has become the method of socially rejecting the inauthenticity of old conspicuous consumption. Such “virtue signaling” may appear or pretend to be truly virtuous, but indeed, it is simply another manifestation of our quest to be seen and recognized and admired. 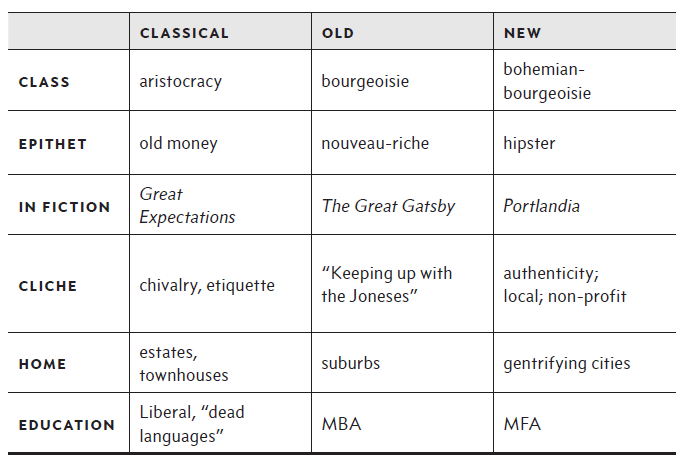 As Murphy demonstrates in the following chart, aristocrats old and new have evolved and adapted according to their surrounding cultures and socio-economic norms. The behavior we see today is just another variation of a larger trend. The more interesting question, then, is how we might avoid the various trappings of such temptations on our own. In this continuous cycle of self-absorbed consumerism, can we not find a way to simply avoid the constant allure of self-comparison, whether accelerated through the veneer of expensive products or the do-gooder impulses and issues of the day? The answer likely resides in a strengthening of the “inbetween” of economic life, having less to do with policy tweaks and more so with revitalization of a different variety: among the mediating institutions that stand between and around the individual (as well as his or her preferred pursuit of status). In other words, without cultivating the “status-free zones” of society (e.g. 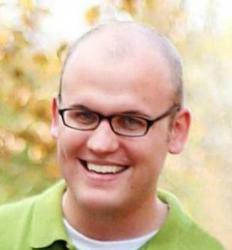 the church, the community, and so on) we’ll have a hard time resisting the urges to indulge these types of distortions. We may have come a long way since feudalism and the lack of mobility and signaling that came with it. But let’s not let the status-free spheres of society decay and deteriorate along with it.